Many of us find it difficult to make cards for men and boys. Where theres an abundance of floral, critter and special occasions stamps you really have to hunt around to find stamps that show "men" things. I find brainstorming themes can help you discover new card ideas. This cute dog card will be perfect for any male dog lovers. To create the circular panel stamp a dog stamp (this one's from Stampin Up!) onto white card. Colour the dog and the background. Place to one side. Die cut the Happy birthday circle frame from My Favorite Things Stamps (MFT Stamps) in silver card. The frame measure 2 3/4". 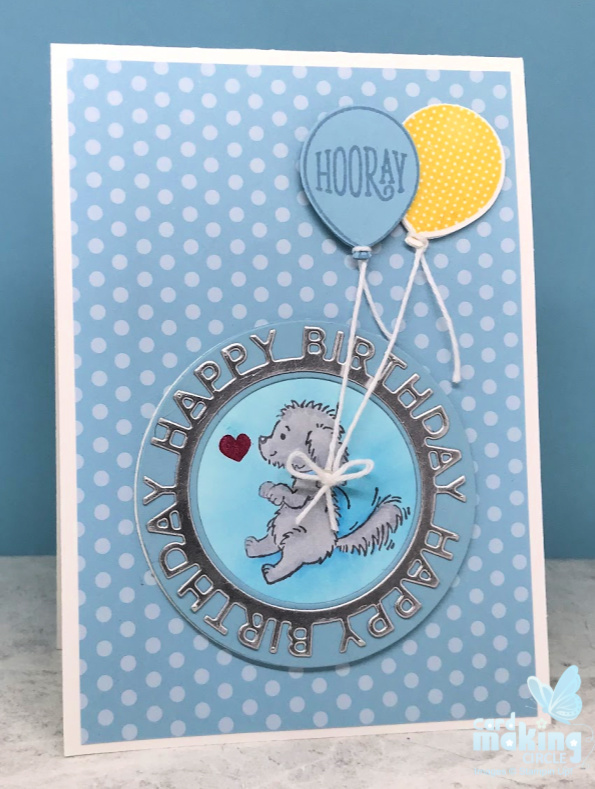 Select two circle dies to create a circular band for the Happy Birthday die cut. Mount the Happy Birthday die onto to the circular band. Next die cut the dog image card with the largest circle die. Stick the cut dog image to the back of the circular band so you can see the dog through the "window". 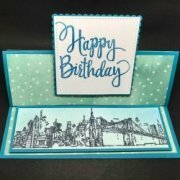 Mount the completed circular panel onto a layer of patterned paper and then onto a card base. Complete the card with two stamped and punched balloons with white twine for the strings. 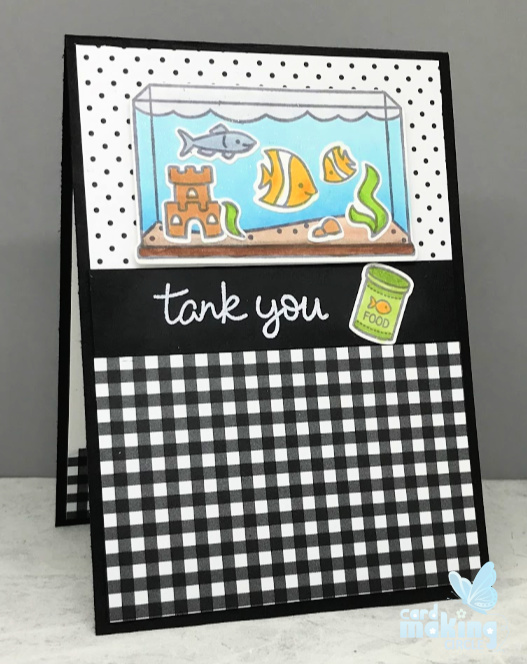 "Tank You" was created using the Fintastic Friends stamp set from Lawn Fawn. Stamp, colour and die cut the fish tank and other images. Glue the images to the inside of the fish tank - creating a fish scene. Add fun foam or foam pads to the back of the fish tank for added dimension. Mount the completed fish tank onto black/white patterned paper. Add co-ordinating patterned paper and a sentiment strip. Heat emboss the sentiment with white embossing powder onto a strip of black card. Assemble onto a black card base to complete the card. This simple card packs a punch with realistic mechanical wheels. 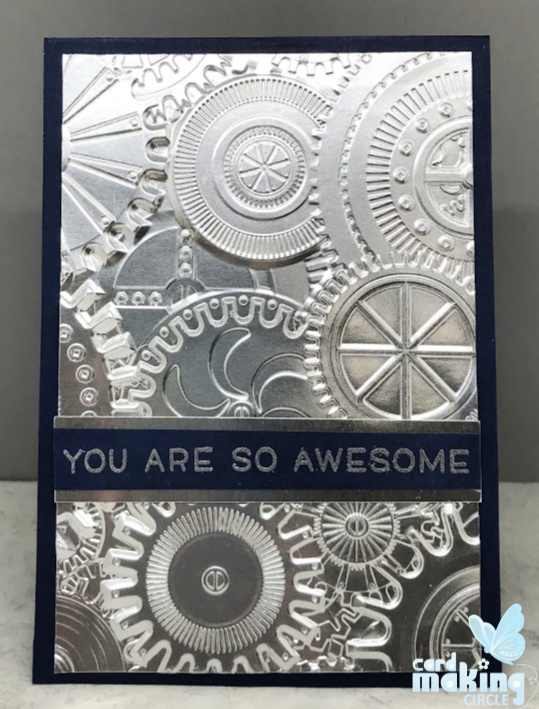 To create the background emboss silver card with the Mechanics 3 D texture embossing folder from Sizzix. Cut the embossed card and layer onto a navy card base. Add a sentiment strip across the card layered on silver card. 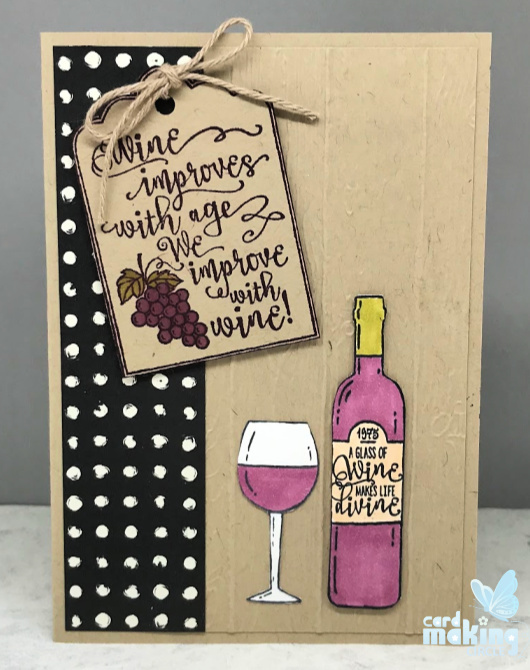 This card uses the "Half Full" stamp set from Stampin Up! 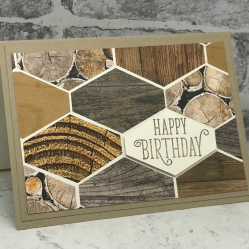 Create a textured wood effect layer with an embossing folder on craft coloured card. Add a strip of patterned paper on the left hand edge. Stamp, colour and fussy cut the glass and wine bottle. Glue the glass to the embossed layer and add foam pads to the bottle. Stamp, colour and fussy cut the label. Punch a hole for the twine. Add to the card front with foam pads. 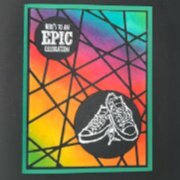 Create this unusual geometric birthday card with the Trigonometry stamp set from Altenew. 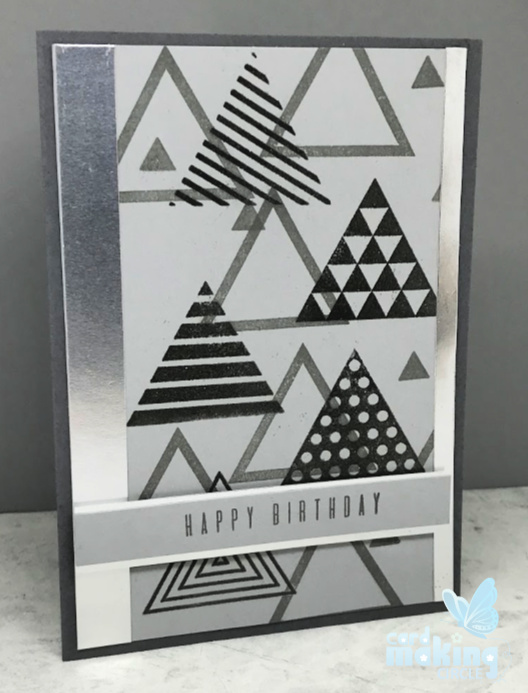 Stamp a selection of the patterned triangles onto light grey card with grey ink and heat emboss with clear embossing powder. Randomly stamp other triangles with light grey ink over the embossed images. Mount onto a dark grey card base and add silver card strips along the vertical sides. Complete with a sentiment on light grey card layered onto silver card. Mount with foam pads across the bottom of the card front. 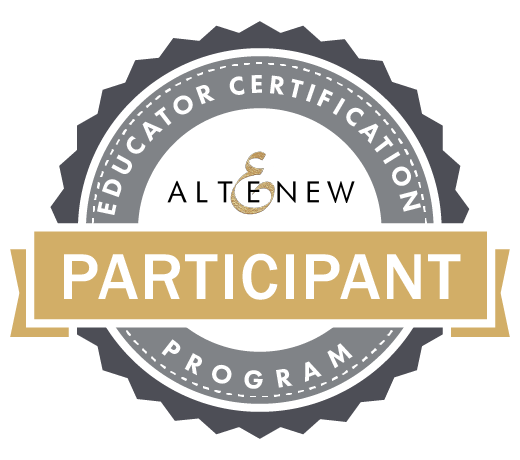 Using geometric shapes was one of many wonderful ideas I gained from the "For the Guys" class at the Altenew Academy. 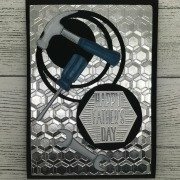 It's a great source of inspiration if you are looking for more card ideas for men and boys.